A child holds a picket sign against Chinas repatriation of North Korean defectors in front of the Chinese Embassy in Seoul on Monday. Some 153,000 people have signed a worldwide online petition to stop China repatriating a group of North Korean defectors who were arrested there. The petition started on a website called www.change.org on Feb. 12 and has now drawn signatures from people from 100 countries, including South Korea, the U.S., Japan, Taiwan, Russia and even China itself. Anyone can launch an online petition drive at change.org or find one or take part in an existing signature drive. The website www.savemyfriend.org opens straight to the online petition. 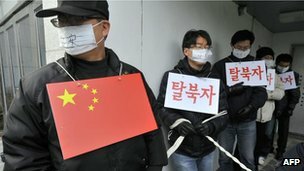 South Korea’s parliament has passed a resolution demanding that China stops the repatriation of North Korean refugees. The move follows a string of protests over the fate of some 30 North Koreans who are reportedly facing deportation from China and harsh repercussions. However, there is a place that you could go to for the North Korean experience. But it’s not in North Korea. 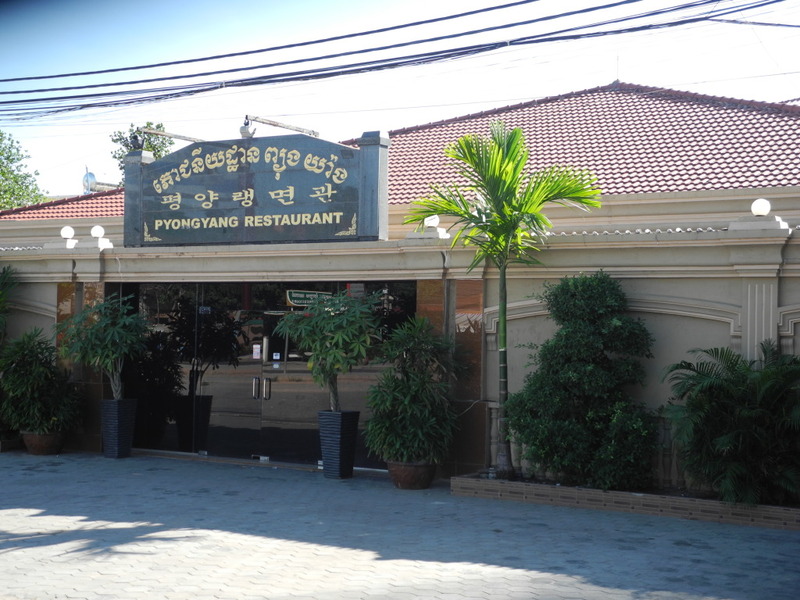 It’s in Cambodia, of all places. 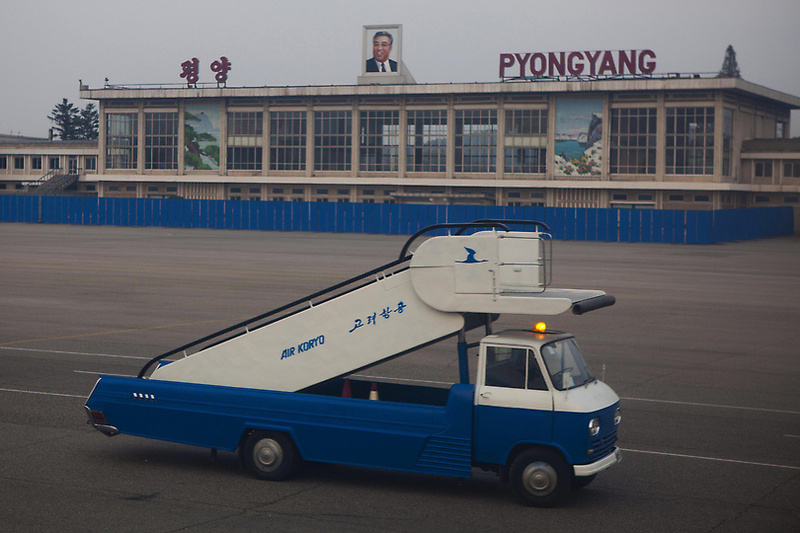 Hundreds of North Korean defectors were awaiting repatriation as of last Friday after being arrested in various parts of China, rights activists say. 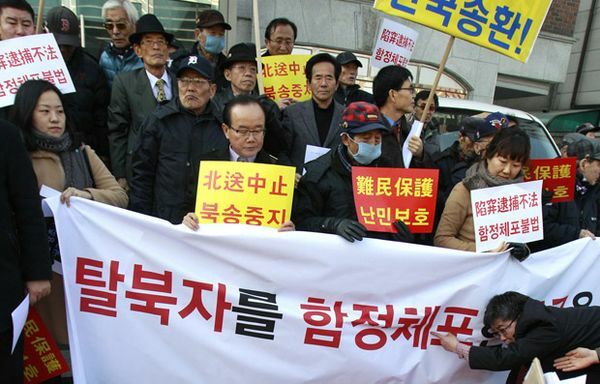 SEOUL, Feb. 23 (Yonhap) — The ruling party floated the idea Thursday of issuing certificates of South Korean citizenship to North Korean defectors detained in China as a way to save refugees facing repatriation to their communist homeland. 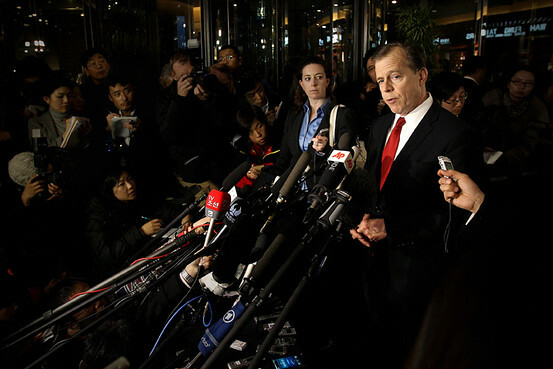 A senior U.S. envoy said Thursday that negotiations between the U.S. and North Korea had been extended to a second day, a potentially positive sign that talks were progressing between Washington and Pyongyang’s new regime. I never thought that they would have Photoshop in North Korea. Even setting aside the name brand Adobe software, it never occurred to me that there might be digital image manipulation in a country stuck a few decades in the past. But a great photo analysis from The New York Times Lens blog finds evidence that it’s there. 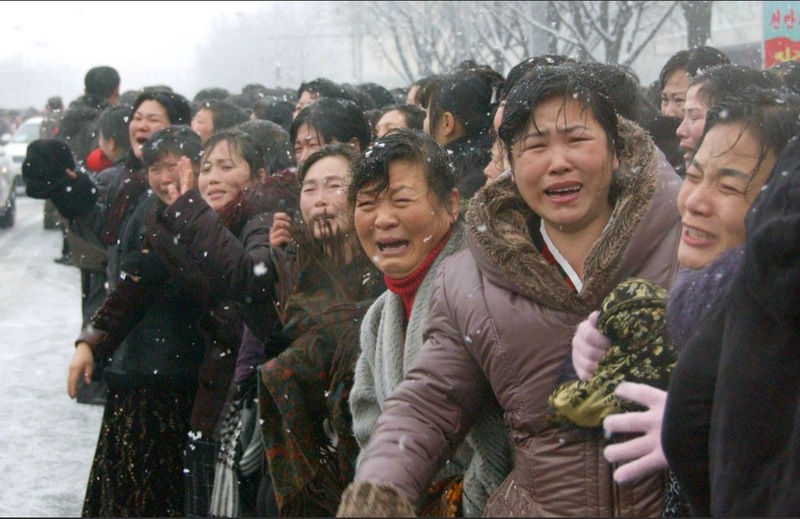 You may not have seen photos from Kim Jong-Il’s nation-blanketing funeral proceedings, though if you haven’t you should seek them out—they are often of a cinematic quality, citizens in the highest stages of grief, perfectly orchestrated snow falling everywhere all the time. China is rejecting South Korean pleas not to repatriate some 30 North Korean refugees who were recently arrested in Chinese territory. SEOUL/BEIJING, Feb. 20 (Yonhap) — A South Korean lawmaker claimed Monday four more North Korean defectors had been detained by Chinese authorities in the central city of Zhengzhou while fleeing their impoverished homeland, raising the number of defectors believed to be in custody to 34. SEOUL, Feb. 21 (Yonhap) — South Korea’s point man on North Korea said Tuesday he will urge Pyongyang to accept Seoul’s offer to resume reunions of family members separated for nearly six decades. The move came three days after North Korea rejected South Korea’s recent proposal to hold Red Cross talks to help arrange reunions of separated families. The North has called for South Korea’s apology for not paying official respect over the December death of its leader Kim Jong-il as a key condition for resuming stalled bilateral talks. South Korea expressed sympathy to the people of North Korea over Kim’s death but did not send an official mourning delegation to Pyongyang. 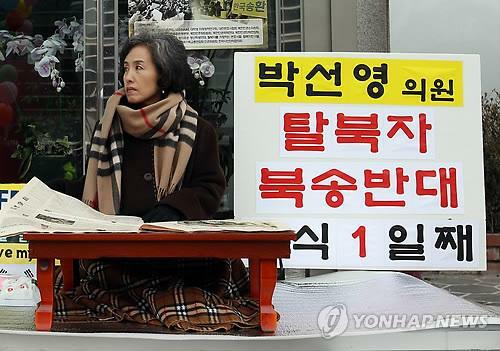 Seoul did approve condolence trips by private delegations. SEOUL, South Korea — South Korea on Monday conducted live-fire military drills from five islands near its disputed sea boundary with North Korea, despite Pyongyang’s threat to attack. The extravagant eldest son of the late North Korean leader Kim Jong Il is facing cash flow problems because the Stalinist state has cut off his allowance, reports claimed Friday. Twenty-nine North Korean defectors were caught by Chinese police and are on the brink of being repatriated to North Korea. 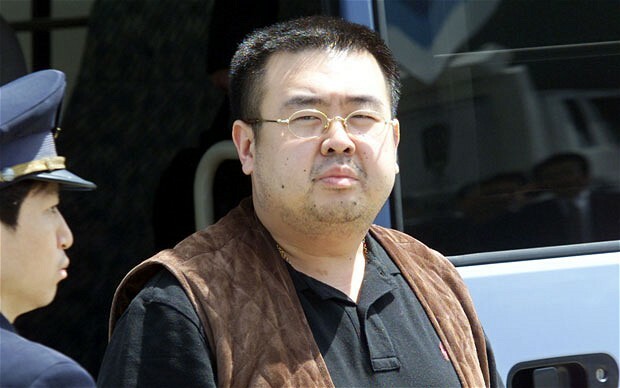 Seoul has asked Beijing to release them but there has been no reply. 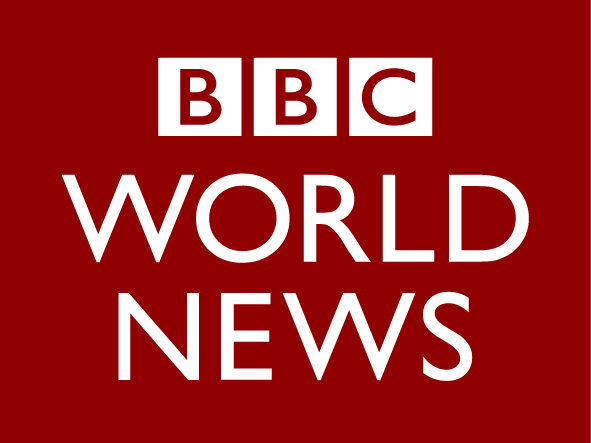 As a continuation of my previous article, I would like to look at one of many articles written by the British Broadcasting Corporation (BBC) regarding the death of Kim Jong-Il. I have chosen to compare and contrast Fox News with the BBC because it is the largest broadcaster in the world and because of my own appreciation for its world news broadcasts. 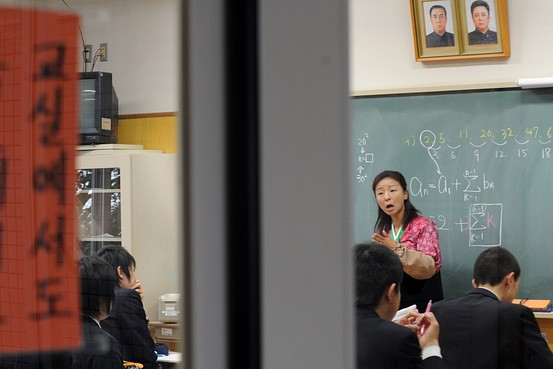 North Korea is the most reclusive country in the world today. The government goes through painstaking measures to make sure that nobody knows what exactly is going on behind its doors. What’s worse is that they go through even more painstaking measures to make sure nobody inside knows what’s going on outside its borders. But every once in a while, you’re presented with an opportunity to step behind the curtains and see North Korea through the eyes of a North Korean. Actually, scratch that. The North Korean government would never allow that. But in the least, we’re sometimes able to see North Korea through the camera lens of a foreigner, whether it be tourists or news agencies. What we see through such pictures may not be exactly what North Korea really is, but at least we get an idea. I was reading through the Washington Post a few weeks back and came across some photos of North Korea that I thought were stunning. These photos are the work of David Guttenfelder, the chief photographer for the Associated Press Asia, and I’d like to share them with you.